Yes, It’s + not VS. This is an idea of mine to connect PHP and Node.JS for real-time systems. Assume that you have a website running on Apache or NGNIX written in PHP, and you need to make your website real-time. 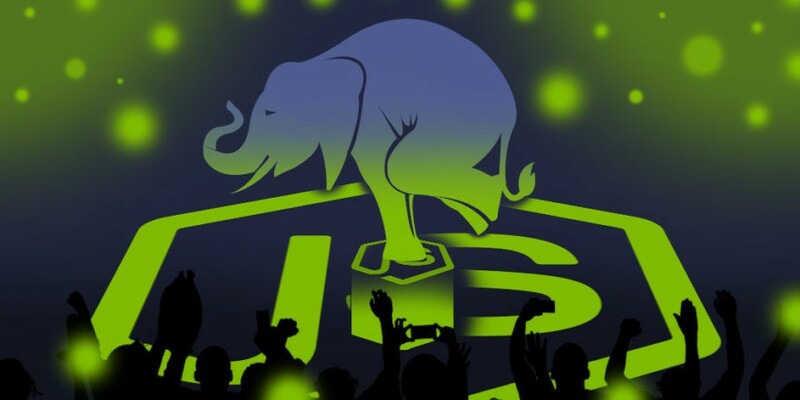 The reason why developers are preferring Node.JS over PHP is that PHP’s fewer resources for real-time communication technologies such as web sockets. Let’s think it is a chat app. When a user sends a message, you send an AJAX request to a PHP script (message.php) and updates the database adding the new message into it. Now the problem occurs. We need to notify the user in the other end about this message, right? We can setup Node.JS for this. A web server normally runs on the port 80. So, we can choose a port like 8080 to run our node.js server. Is our node.js server a web sockets server? No. It should be both web sockets and HTTP server. Clients connect to the server via WebSockets. PHP scripts connect to the server via password protected HTTP Requests. Protect HTTP requests with a password to avoid others accessing it. Then, Node.JS sends updates to the relevant users. Then, add a listener to the onmessage event and listen to the updates from Node.JS. This is a demonstration of the idea of connecting PHP and Node.JS. I’ll try to post the code of this if I get time. You may think if this would work. Yes, It works. I use it in my website, Hyvor Talk.